LONG BEACH – The stage is set. 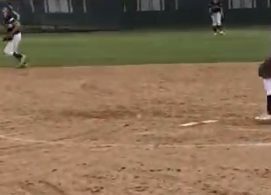 The Grossmont College Griffins took care of another opponent and now are ready for the most important series of the season. 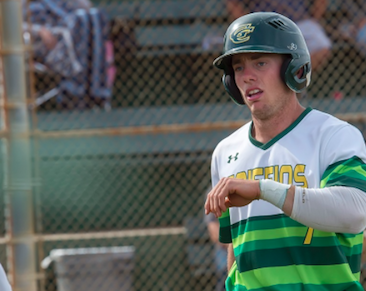 Southern California sixth-ranked Grossmont eventually got its high-powered offense in gear Friday to clobber 18th-ranked Long Beach City, 12-3, to make way for the Pacific Coast Athletic Conference championship-deciding series next week against Palomar. The three-game week-long set will determine the champion of the conference. The Griffins will host two of the games on Tuesday and Saturday, with the middle game played at the Comets’ field. In Friday’s non-conference win, the Griffins trailed 1-0 through three, but scored three in the fourth, scoring a run on a double to right-center by JUSTEN BURKEY and a single to right-center by TREVOR BEARD. Long Beach picked up a run on a solo homer in the fourth, but the Griffins went to pound town once again by the sixth inning. Beard doubled in the sixth to bring home the fourth run, then DAVID MALDONADO added a sacrifice fly. In the seventh, ROBERT BOSTEDT belted a RBI triple to right-center, then he had two more RBI in the Griffins’ five-run eighth when he doubled to center. 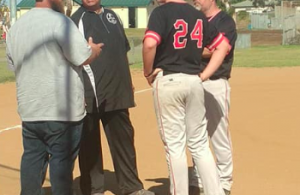 Earlier this week, Bostedt made a verbal commitment to accept a scholarship to play at Division II power Chico State. Bostedt, a sophomore outfielder, is hitting .361 this season with 23 RBI and 14 stolen bases. Sophomore DONAVON MCCRYSTAL won for the eighth time this season, giving him an 18-1 career mark with the Griffins. McCrystal went seven innings, allowing a couple of runs on seven hits. He walked none and struck out four. 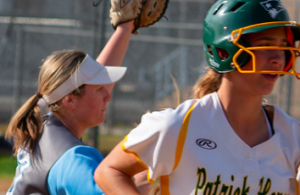 Grossmont is on a nine-game winning streak and have lost just once over its last 23 contests. The Griffins would likely need to take two of the three games from Palomar to be in the championship driver’s seat with one series remaining. Grossmont is 17-1 in the PCAC, while Palomar sits a half-game back at 16-1. The Griffins will close the season the following week with a series against Desert (8-9 PCAC, 10-23 overall). The Comets face COD today (Saturday) to try and tie Grossmont atop the league heading into next week’s series. Palomar, ranked fourth in Southern California, is ranked sixth in the state, while the Griffins were ranked 11th in California in the latest CCCSIA poll before this week’s games.